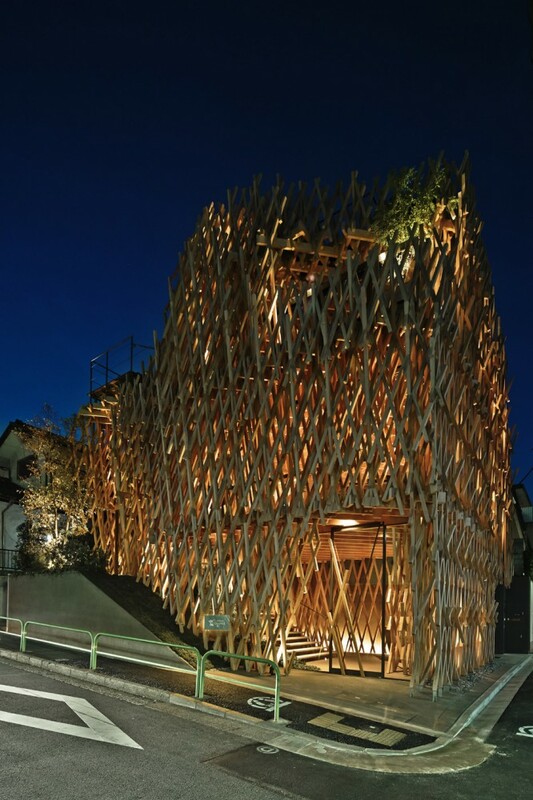 This shop, specialized in selling pineapple cake (popular sweet in Taiwan), is in the shape of a bamboo basket. 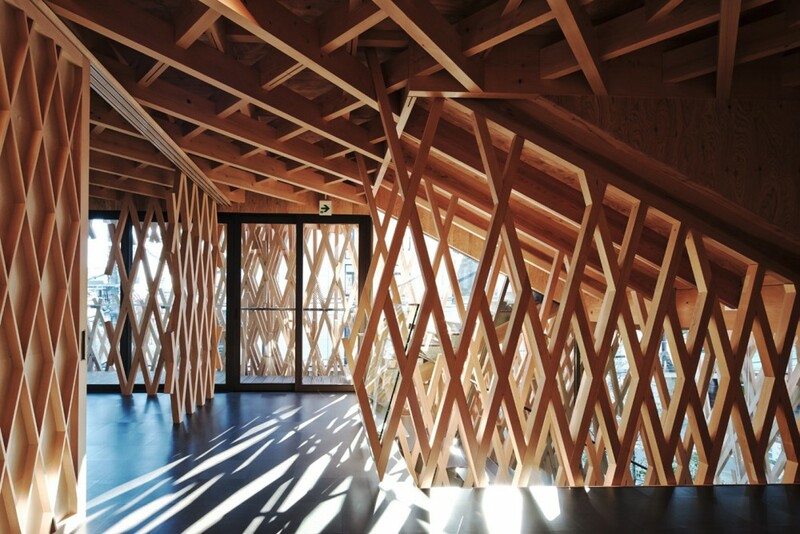 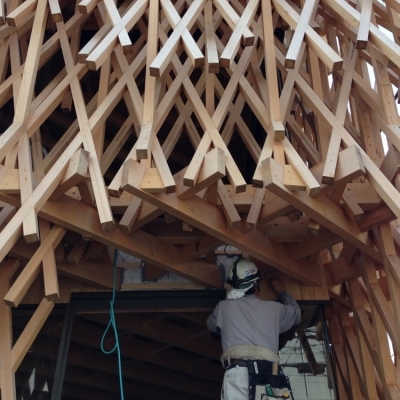 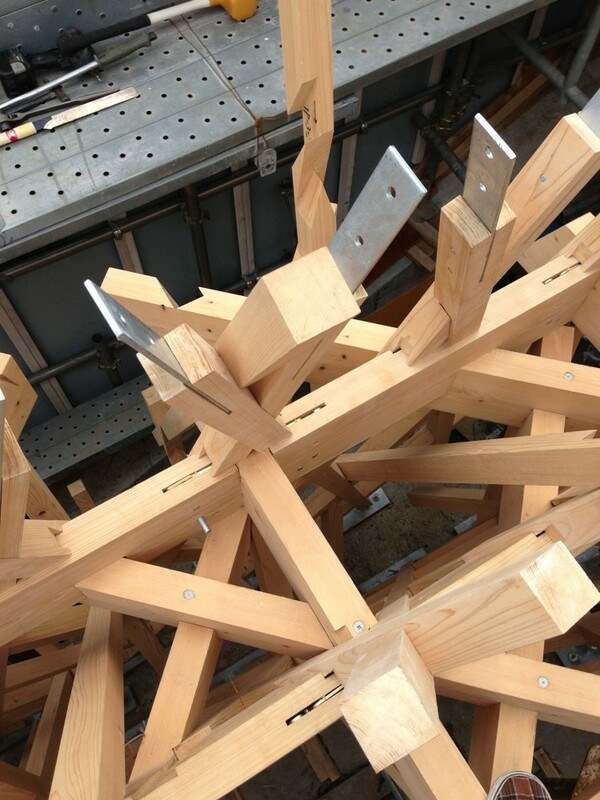 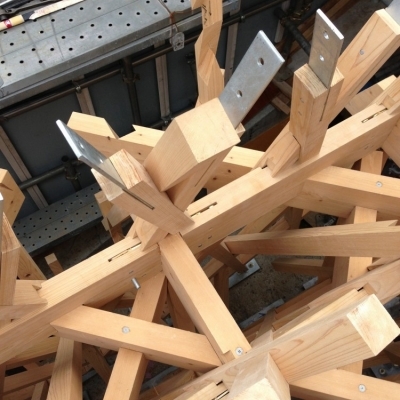 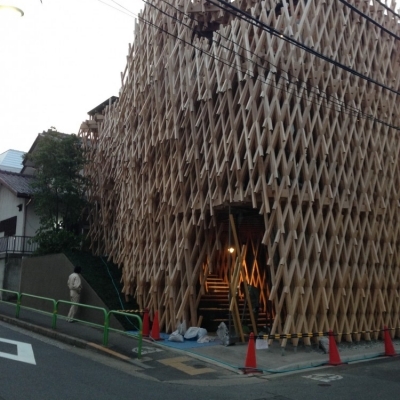 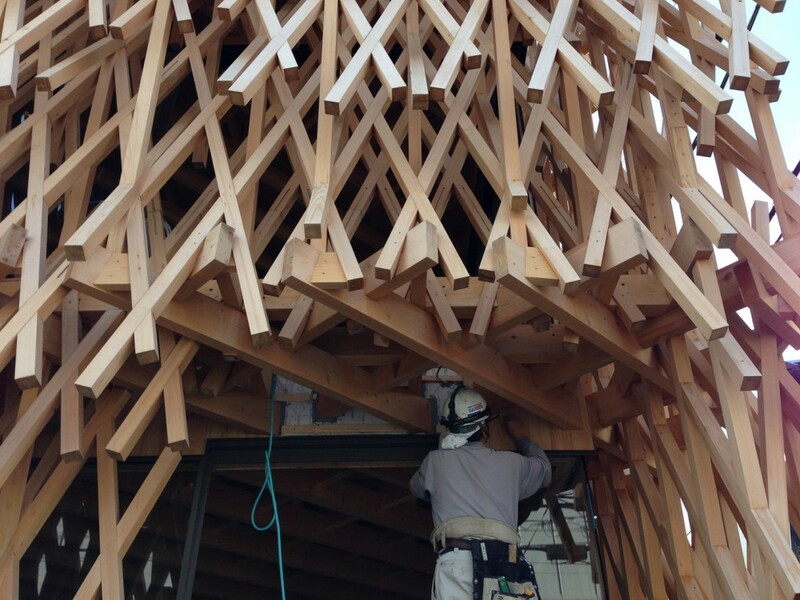 It is built on a joint system called “Jiigoku-Gumi,” traditional method used in Japanese wooden architecture (often observed in Shoji: vertical and cross pieces in the same width are entwined in each other to form a muntin grid). 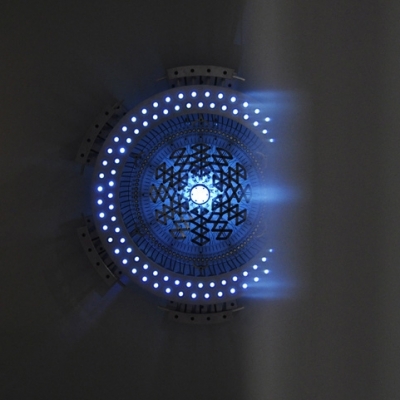 Normally the two pieces intersect in two dimensions, but here they are combined in 30 degrees in 3 dimensions (or in cubic), which came into a structure like a cloud. 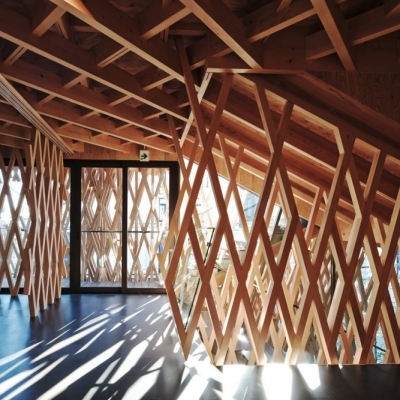 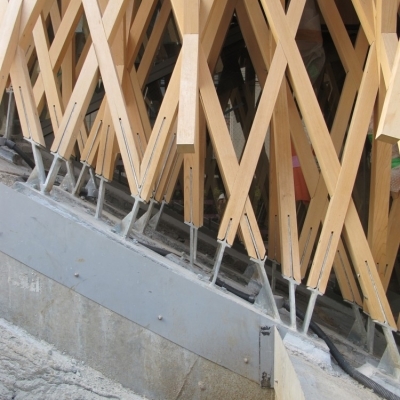 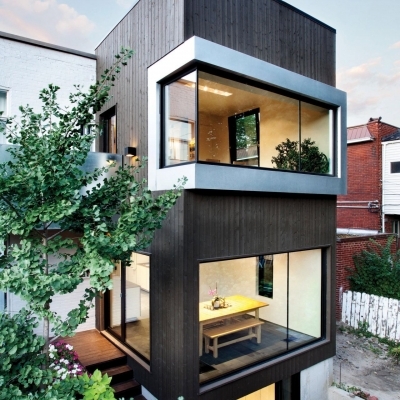 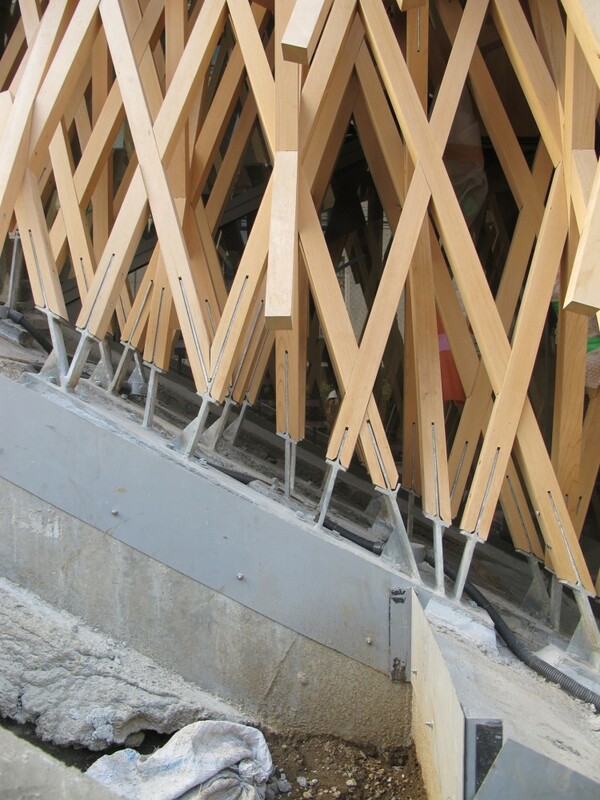 With this idea, the section size of each wood piece was reduced to as thin as 60mm×60mm. 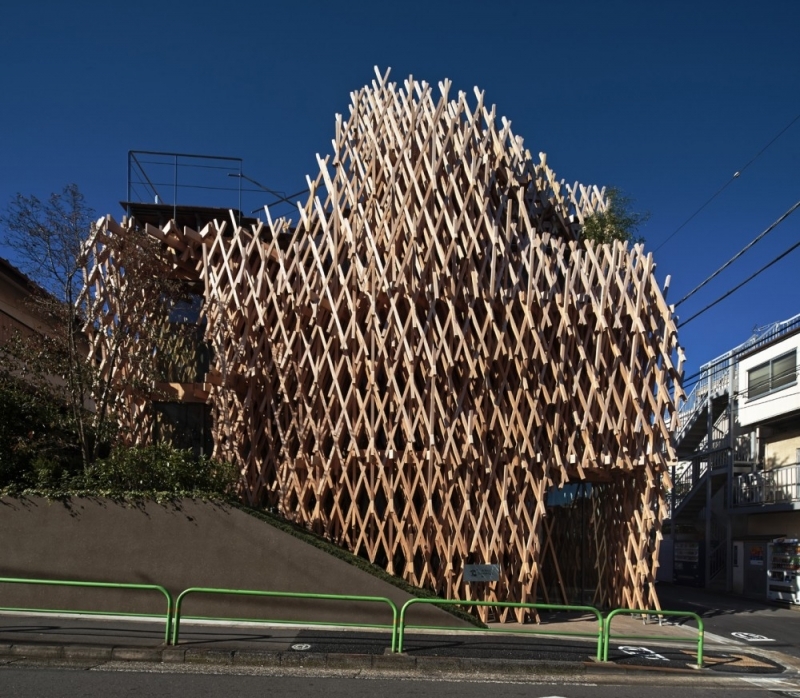 As the building is located in middle of the residential area in Aoyama, we wanted to give some soft and subtle atmosphere to it, which is completely different from a concrete box. 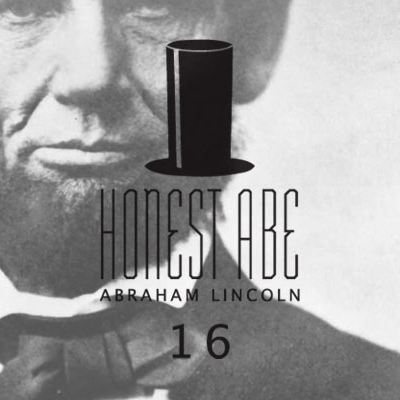 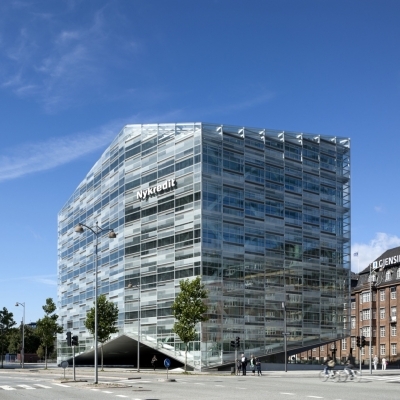 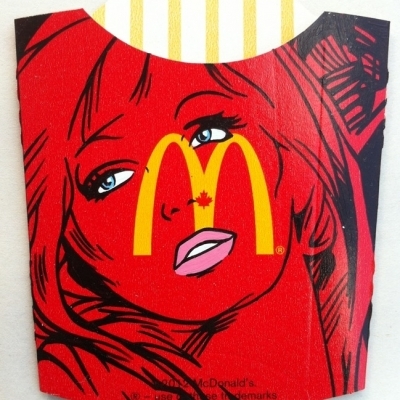 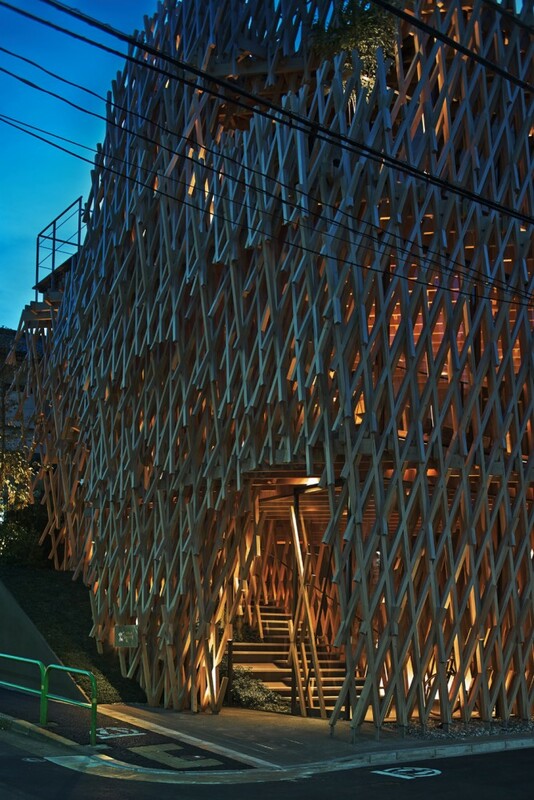 We expect that the street and the architecture　could be in good chemistry. 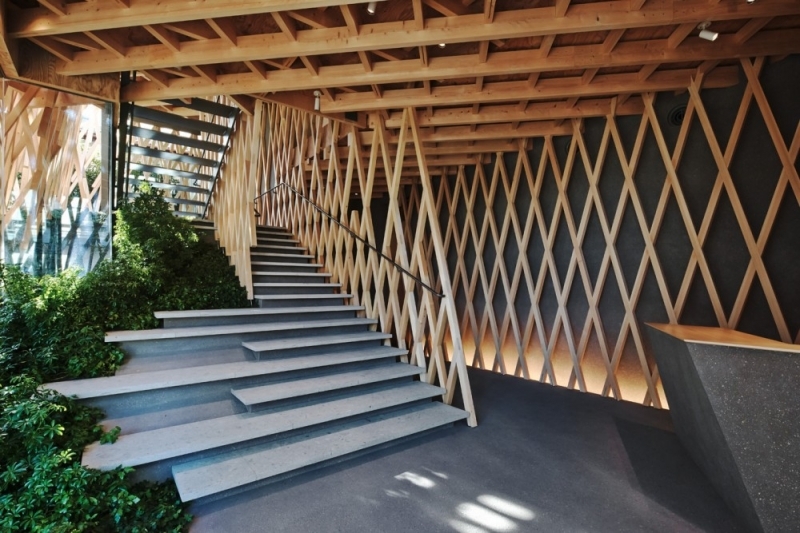 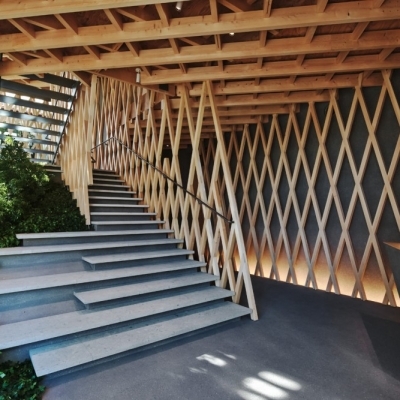 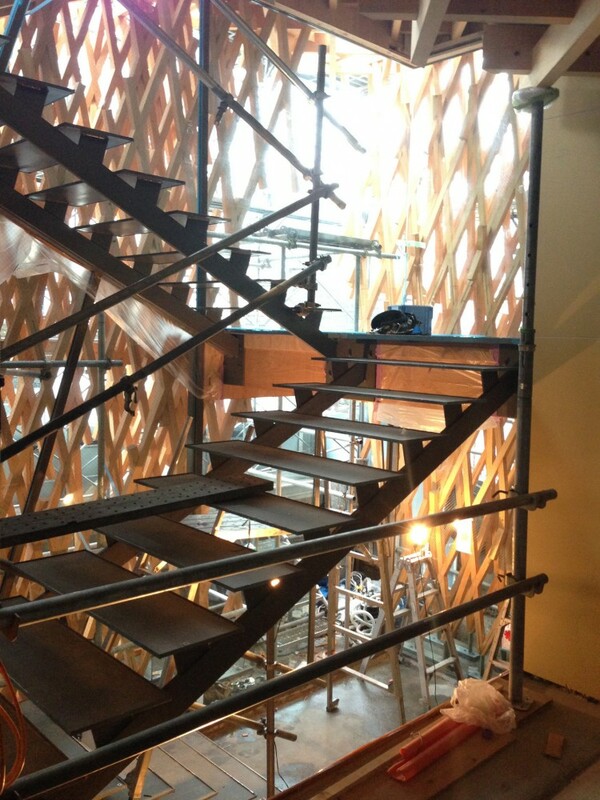 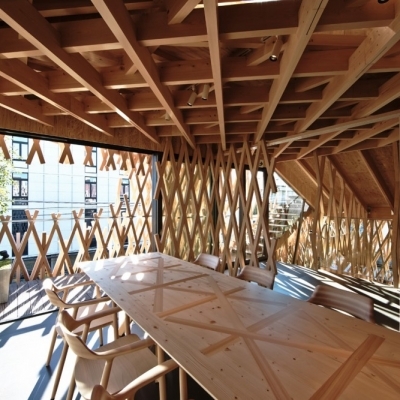 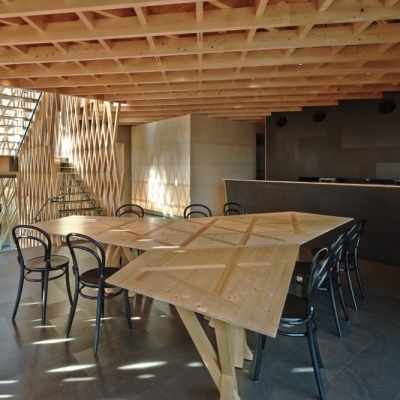 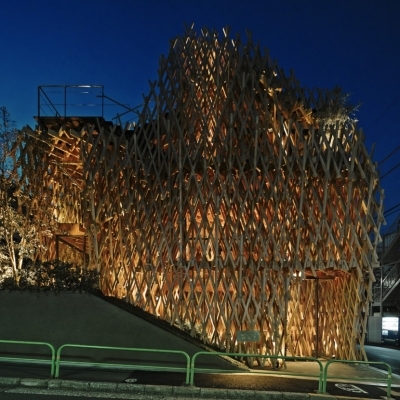 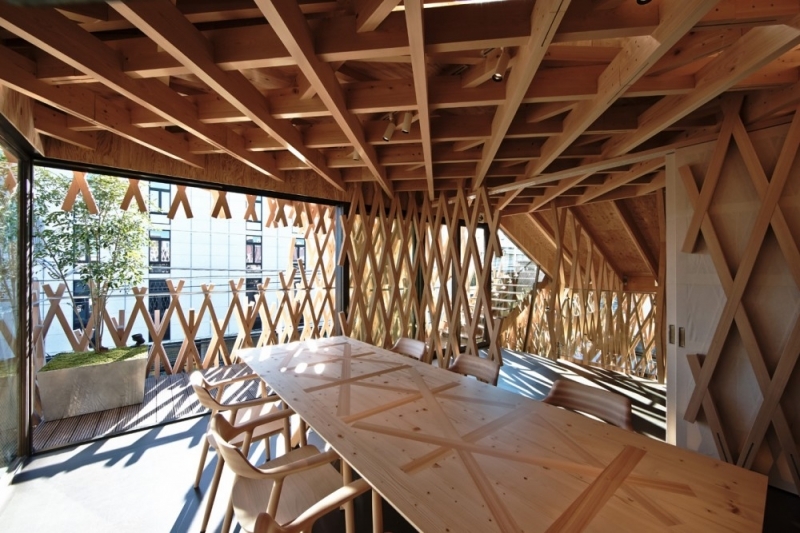 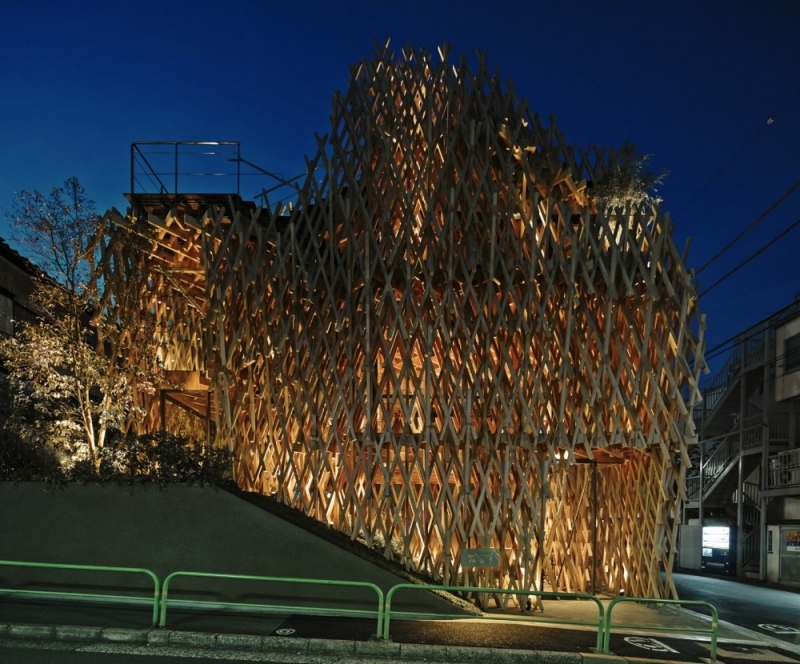 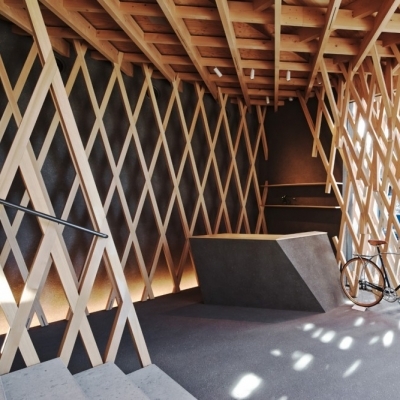 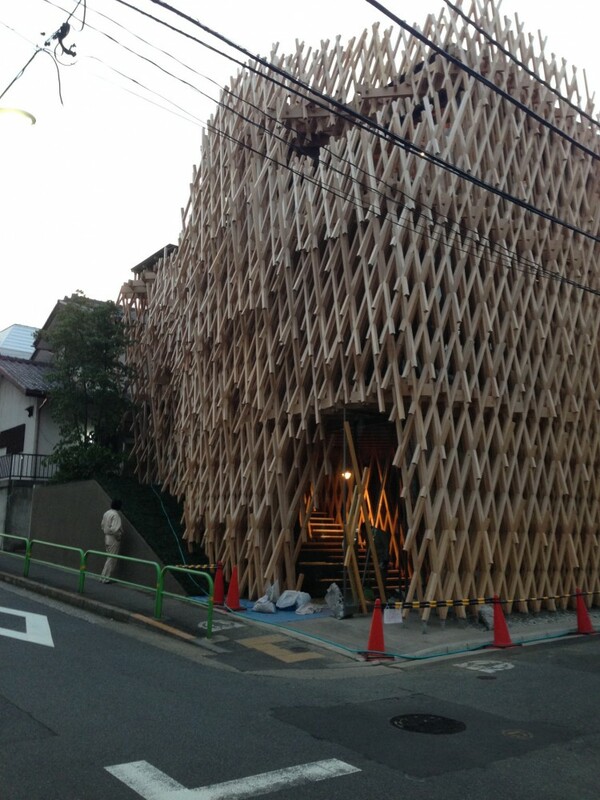 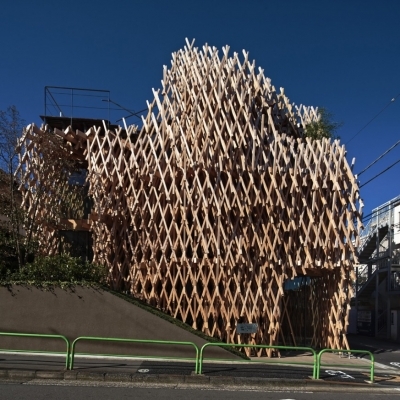 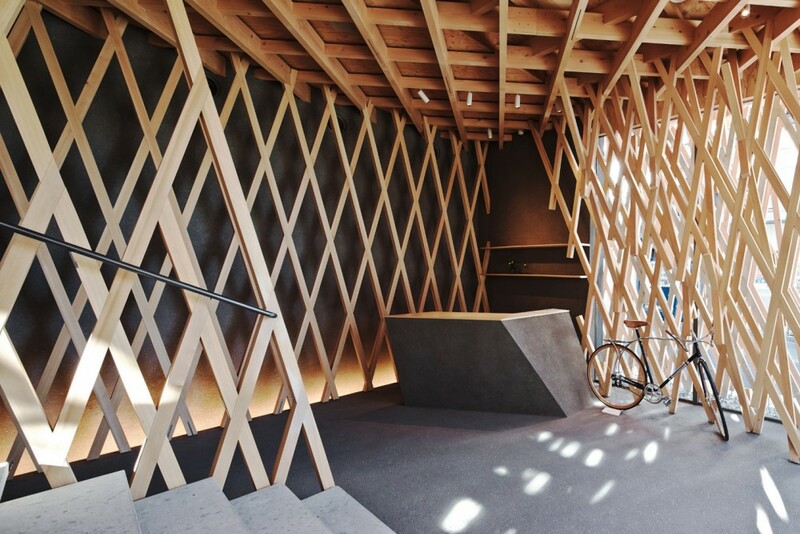 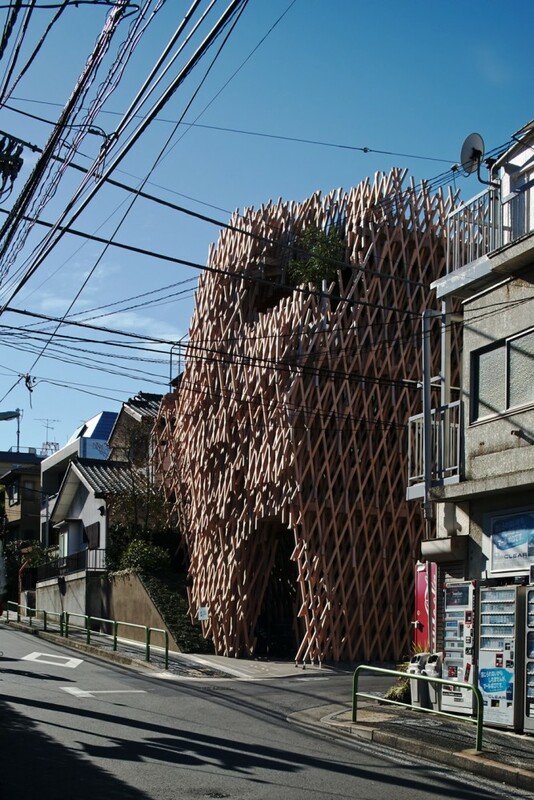 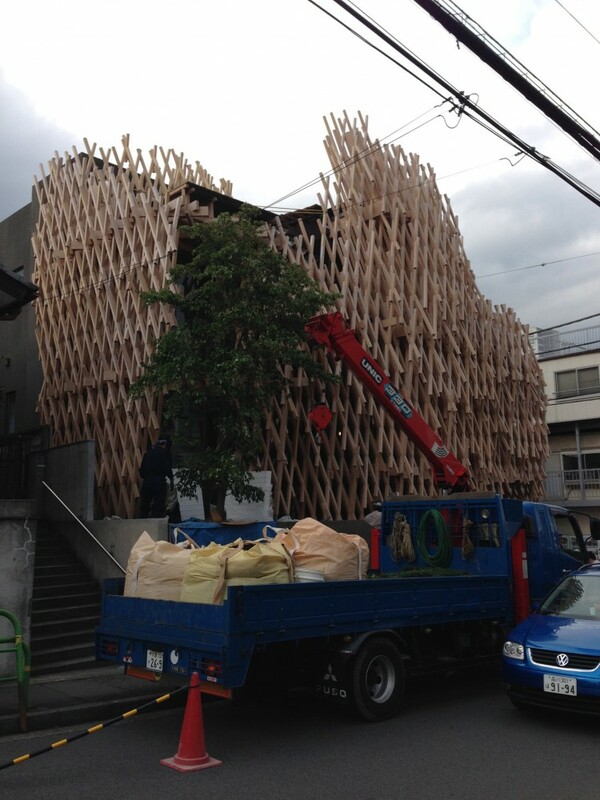 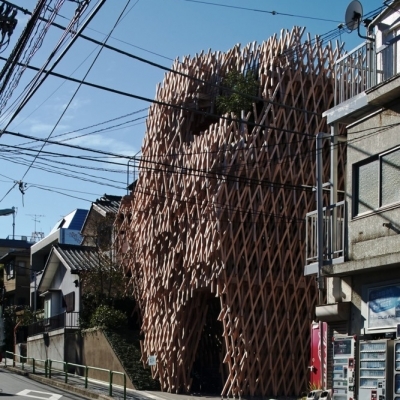 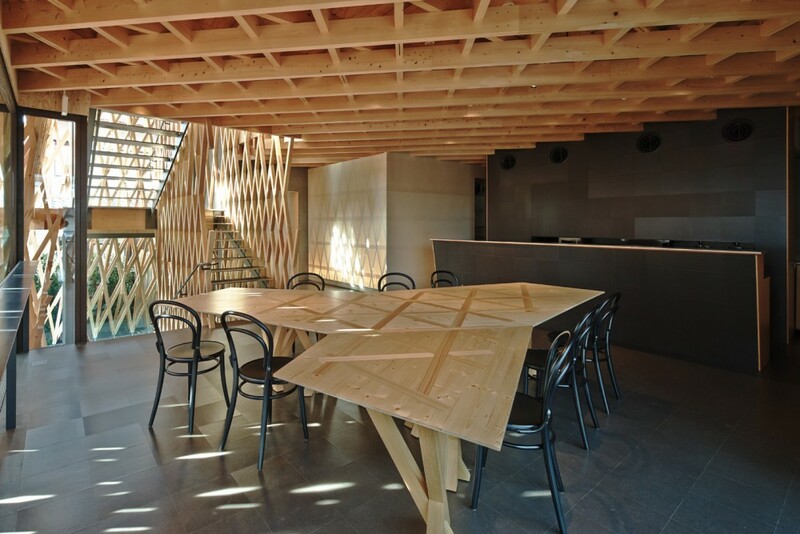 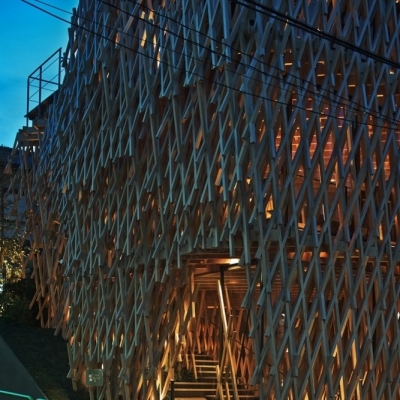 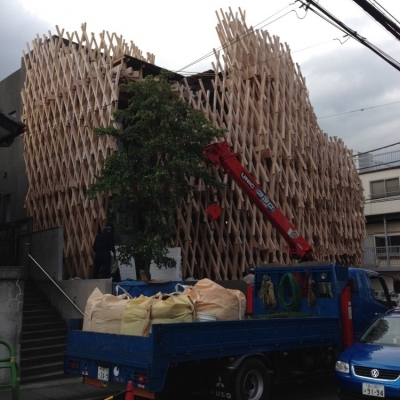 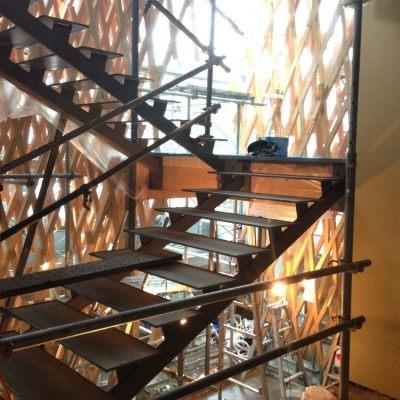 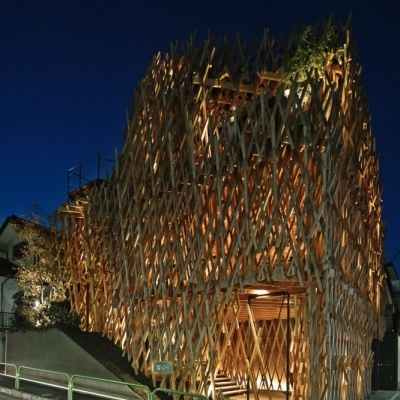 Via Kengo Kuma and Associates.